This is my first blog post for 2014. An update of where I am and some details of how my life is moving on. My 2005 reliable Hyundai Elantra has surely served me well for 8 years. From August 2012 to April 2013 it was my home as I free spirit traveled cross-country. Towards the end of my solo travels, I met Ran. Exploring new adventures with this honorable, generous, gracious man is a precious gift. Just as my journey cross-country was life-changing, now my transformation continues through the power of partnership. have catapulted us into a wonderful rhythm together. On January 17th, I drove to Los Alamos Motor Vehicle Division with a Connecticut license and departed bearing a New Mexico license and plate. I am an official New Mexico resident living in the ‘Land of Enchantment.’ What a perfect fit for me! Living in high desert wilderness is amazing! I feel such deep oneness with Ran and this sacred land. Throughout the years, I have said many times that my spirit resides in the southwest. Now that I am here, I know this to be true. My soul is so at home here. Looking out as far as I can see in any direction from our tiny house, I behold canyon, mountain mesa, terracotta-tan-brown toned earth. Free range cows are a common sight. Walking this desert landscape reveals tracks of birds, various species including raven and pinion jays in abundance, rabbit, coyote, badger and mountain lion. Lizards and snakes are also at home here. Sage, cactus, pinion, and juniper grace the 62-acres of intentional community. As the song lyrics goes, there is time for every season, and this is my season to co*create and seed my dreams. So it is here in Abiquiu, New Mexico among many flourishing artists that I am setting down roots. I am practicing the art of discipline in writing my book and designing handcrafts, as well as visioning, rebuilding and expanding RENYA CREATIONS. While doing so, I am getting to know my neighbors, making my gifts and skills known and cultivating temporary work opportunities in support of my simple lifestyle needs. ‘Village of the Shining Stones’ is 2-½ miles long. 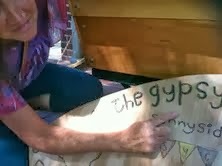 My journey on the road has led me to a place of rooting and the time draws near for me to release my gypsy mobile. With exception to its occasional uncovering to allow the engine time to run awhile and sometimes take it for a brief spin around the village, it has been parked under a car cover for months. Ran has a blue sedan similar to mine, a tad smaller, simpler, and older, called Lil’ Blue, which I can drive anytime I want to. My heart of thanks overflows for such a gracious offer. The decision of letting go is never an easy one. On one-hand, I view selling my car as a challenge because it's paid off and in great shape. During my cross-country journey, I invested into it far more than its blue book value (new brakes, tires, suspension and steering components, radiator, and timing belt). On the other hand, I find that I must remain true to the continuing practice of living in and trusting each moment. When I focus on the present, I know that it is time to release that which no longer serves me. If I were to focus on the future instead, I would be drawn into the saga of ‘WHAT IF?’ What if something should happen tomorrow causing me to second guess or regret my decision. Basing today’s decisions on the wonderment of tomorrow is enabling fear to have its way of holding me back from being true to here and now. The core fibers of my truth is that everything, no exception, comes from the God Source Universe and that level of trust continues to be the practice I am living with every breath and every step. The facts of my current physical situation are this. Living remote; mainstream job opportunities are a good distance away. Have exhausted the money I stretched well during my travels. Been paying car insurance for months and have hardly driven my car since April 2013. I require money at this point far more than a car. Now for my outer action. I turn to Craigslist. After all, Craig is my last name so it seems the right direction to go. Looking for a great used car well cared for? There was a long list of other cars listed for sale the day I posted my ad. Seeing this could have been cause for doubt messing with my mind, questioning whether I’d be able to sell my car as quickly and easily as I envisioned. Instead, I held strong to my knowing and trust that with God and the Power of Focused Intent Everything Is Possible. 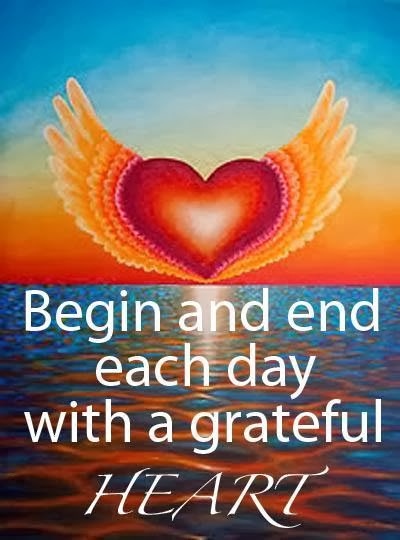 Every day I affirmed, aligned, and energized my prayer. When I sealed my prayer and let it go, I meant every word and remained vigilant to the awareness of my thoughts. In the power of manifesting, this is the point in which trust or fear enter and play out. Every thought we think creates our reality. To quote a wise friend and spiritual teacher, Geoffrey Bullington, “every thought is a prayer and every prayer is a thought answered.” At first, these words may sound like a riddle. However, the deeper they are understand, practiced, and integrated, the greater and richer awareness grows into how the universal principle of cause and effect opens the doorway to conscious manifesting. January 28 - I received the first Craigslist response to my ad from a potential buyer named Patricia. Immediately upon receiving her email, my heart felt the flutter of knowing that her inquiry was the answer to my prayer. January 29 - Ran & I drove to Espanola, which is only 30 minutes away from Abiquiu. I was so excited I probably could have skipped there! Meeting Patricia was much more than a sales transaction. It was a meeting of two seeming strangers becoming instant sisters, expressing mutual needs through honesty, exchanging ease and grace through kindness and friendship. The best deal of all! A mutually supportive one! I am quite excited to have magnetized the ideal buyer in such a short period of time and a new friend! Tomorrow is the day of celebration, of money and title exchange, of both parties receiving what they asked for, and feeling really good about it. It’s all about the power of resonant connection! a toast to a mutually fulfilling manifestation well done! January 30 – Today is car sale day. Patricia and I are both pumped up to meet again. During the last couple of days getting to know one another, we discovered other reasons the Universe has brought us together in addition to the sale of a car. It turns out that Patricia desires to create the possibility of relationship again. I know that process well. A year ago, I was there myself. Having manifested a beautiful, resonant, relationship into my life, I have supportive insight and experiential tools about manifesting our dreams that I can share. It turns out too that I want to learn Spanish and now have a potential teacher. As Patricia and her daughter-in-law, Reina, drive away in a much loved and cared for car, I walk through the doors of my bank with a deposit slip in my hand giving gratitude for this smooth, easy, amazing manifesting experience. In the spirit of honest, open, balanced action and the joy of completion, Ran & I are off in his White Rhino truck heading for Mamacita’s in Abiquiu for a fabulous veggie deluxe pizza. Another yum and another day to celebrate! Oh yeah. There are so many stories in the world about people taking advantage of people, people not trusting people, people ripping people off, people hurting people. It’s such a debilitating way to live that cuts us off from one another. Instead of this fear-based thinking and sad misuse of energy, I choose instead to interact soul-inspired with my heart open and keenly aware. I suppose because of this, I have built a deep trust in people all my life, and live by the power of wisdom that what you think, feel, and extend out is what you receive back. It’s the way of the Universal Law of Reflection and I’m extremely grateful to be trusting it, living it and spreading it. Inspired to blog today. Haven't done so since July. to manifest the book I'm inspired to write about my cross country journey, traveling adventures, and personal transformation. I had envisioned having my book done by now. And yet, time and time again, I find myself surrendering to the process, personal expectation and outcome. Each time I sit down to write this work in progress, I feel as though I am being formed new in the embrace of this ongoing experience. Gradually, I am finding my way to the written page drop by drop and committed to sticking with it no matter what. I invite you to hang in there with me and I'll let you know as soon RENYA ON THE ROAD is done and ready for distribution. I write this blog post from my sister and brother-in-law's home in Connecticut, where I have been since September. It is such a blessing to have returned full circle to Connecticut, from whence my journey began August, 2012. My dad was struggling with Parkinson's before I left on my journey last August. Forging ahead with my soul's beckoning to travel across the US, leaving my health fragile parents behind was most difficult. It was my soul that beckoned me to travel when I did. The window of opportunity was open and waiting for my yes. It was extremely clear that this souljourn was the next step for me to take upon my spirit earth walk. I willingly and passionately embraced the vision of travelling across country with an intention. I prayed to be guided back to Connecticut to spend quality time with my parents before anything unforeseen shook our family tree. This was extremely important to me and so I planted that prayer and embarked on my journey in trust that it would be answered. Abiding in and trusting the power and presence of that powerful verse..... "ask and you shall receive" I am most grateful to be with my parents and siblings again. Myself, two sisters and brother are devoted to love and care of our family. With that said, they all reside nearby and I am the one who has spent chuncks of my life living in other states. For years, I have balanced the threads of my devotion of family with my devotion of my soul's growth and and spirit's guidance. My family and I are deeply connected. Would there be resentment from my parents and siblings for leaving them behind during this fragile time? I have wondered. My siblings have given voice to my wonderment and we have come through the tunnel of adapting, accepting with understanding and honor. I am deeply grateful for this act of mutually honoring resolution. Day-by-Day, I watch my dad 's body struggle with Parkinson's disease; his embarrassment, difficulties and pain. I watch myself watching him as tears of love and care rinse my face. At family gatherings now, I glimpse at everyone and see in them what I see in myself... the day is coming soon when the door of transformation, death, will be visiting our family. I am no stranger to this doorway. My beloved fiance died in 1999. Death demands attention. Death demands an invitation for all of us to give mighty thanks for every blessing. Death inspires reflection. Death guarantees change. In my family, it has come time to face the journey of immortality. My mom is devoted to a life of prayer. At 85, with vision compromised, her commitment to a life of faith, love and prayer washes over me. I see the many ways in which I am like her and smile gratefully for it. It is so endearing to behold my mom and dad daily devoted to loving and caring for one another through this declining body time. I am most grateful to Spirit for guiding me home safely and timely to be with dad, mom and my siblings. A precious gift... this quality time. I give thanks that my son will be joining our family tribe for holiday next month and look forward with mama excitement to his arrival. I am grateful that my partner Ran is a man of sensitivity and understands, honors, and supports my need to be with family, as we love long-distance between Connecticut and New Mexico and look forward to our joining for the new year. I am grateful for the Blessing of Love and its evolving phases. Like the moon, we pass through its many phases and stages. Love is what fashioned us from the central point of our light-filled origin. Love is what called me back home. Love eventually calls us all home. Like I said in the beginning of this writing, there is so much to be grateful for. I invite you to share with a comment. May your ThanksGiving be heart-filled !!! July 4th weekend! Woohoo!!!!! Scanning over my journey on the road since last August, there have been numerous places I've loved visiting. Amongst my favorites is Ojai in southern CA and on up the central coast from San Luis Obispo to Santa Cruz. As of this weekend, I am majorly smitten with Port Townsend, Washington, one of only three victorian seaports in the nation, located on the northeast tip of the Olympic Peninsula. "A beautiful city of authentic charm with maritime heritage and a touch of urban chic." "Dubbed the Paris of the Pacific Northwest." "Named one of the Top 10 Coolest Small Towns in America." Growing up on the east coast in a sea village town, I feel most at home when breathing sea-scented air, nurtured and nourished by flora and fauna. This place rocks my soul! In Port Townsend, many Victorian buildings remain from its late 19th-century heyday, numerous annual cultural events abound and it is a maritime center and mecca for independent boat builders and enthusiasts. Arts and cultural centers and numerous organic food options, a great food coop and cafes are dotted about town. A high percentage of the folks that flock to PT are my age. This quaint town is laid back and friendly. It's all about loving and caring for this amazing gift called earth, resonant kinship and outdoor adventure here.... riding bikes, sailboats, hiking and more. Walking the streets of Port Townsend calls to mind the line in a familiar song..
My deep connection with mermaids and seaweed blended with Ran's connection with sailing has landed us in seafaring paradise. We're walking about Port Townsend in total bliss. Spotted a bike shop and test mounted some Townees. That was only the beginning as we continued to connect with local resident business owners and establishments that intuitively called our attention .... referring to that magic again. We found the best pizza ever and our favorite cafes serving the best coffee, the 'biggest' and 'bestest' homemade pies and the best salmon chowder anywhere! A few blocks away, came upon a store window that had my name written all over it: The Writers' Workshoppe. Owner, Anna, & I had a wonderful exchange around the subject of writing and publishing. A couple doors down the way was a music shop that's making a big resurgence in selling albums. Not a CD in the store. What do you think of that? A couple stores down for that a Native American craft shop owned by a Lakota brother. He shared some of his family stories about growing up in South Dakota with Ran & I. What a blessing. A few streets over, we discovered another cafe (a multitude to chose from) and it turns out that the woman working there moved from Alaska the very same day Ran did after a record snowfall when they both hit the wall after many years of living there and said..... That's it! We're out of here! Some say it's a small world... I say its a connected world. I suppose that's one of the reasons why I refer to myself as Rainbow Connector. All of these connections were totally amazing, and I've shared this for last. Judy Courtwright, Artist of Watercolor & Clay. Of all visual art mediums, it just so happens that these two visual art mediums attract me the strongest. This is how I met Judy. Only 15 minutes before I passed by a window displaying a few of her framed watercolors, it was her bio page in a notebook next to them that caught my eye. Her bio showed a photo of her joy-filled face and words that explained briefly her passion of painting. I was immediately drawn like a hummingbird to sweet nectar and proceeded to descend the stairs to her studio. There is much I could say, although the essence of our meeting was purely delightful. Oh yes, I must mentioned that during my conversation with Judy, she mentioned that she had put her bio that I was attracted to in the storefront window just 15 minutes before I passed by. I love how life's moments evolve and unfold in perfect divine timing. Judy, thank you again for the inspiration, encouragement, and complimentary mini introduction into the world of watercolor. A purely spectacular 4th of July! following one glorious moment to the next! Late afternoon had arrived, and it was time for Ran & I to move on. Next September we intend to come back to Port Townsend for the annual Wooden Boat Festival. CANT' WAIT!!!! Back in Ran's White Rhino, we headed to the nearby town of Poulsbo to join Jim (Ran's climbing partner from year's back), wife Mary and son Cam for dinner. What a perfect closure to a magnificent day. What an INCREDIBLE dinner visit ~ thank YOU again! July 2, 2013 - Happy Birthday to me - My 59th birthday arrived splendidly! Journey Partner Ran knows that I'm a mermaid somewhat disguised and how much I adore the sea..... so...... a grand birthday surprise was heading to Seattle for a day of fun and exploration. No time for a leisurely wakeup, dressed quickly and dashed, grabbing 2 apples and 4 health bars to go, we walked vigorously to the nearest bus stop, arriving the same time we did. The short bus ride transferred us to another short bus ride, which then unloaded us at Puget Sound Ferry. Thoroughly enjoyed the ferry ride and the day of browsing and doddling about downtown Seattle. We visited the ever popular Pike Place Market - waterfront farmer's market. I adore open air markets filled with foods, flowers, crafts and more. Ran told me ahead that the fish market was in and of itself an amazing experience. WOW ~ was he ever right! At the fish market there's a staff worker behind the fish counter and a few others in front of the counter, all waiting on consistent lines of customers. If you want to buy a fish, this is how it works: As customers call out their orders, the staff workers (working the floor) throw the designated fish through the air to the worker behind the counter to weigh and package the fish to go. The customer then hands their payment to the same front counter staff worker who stuffs the payment into a slit into a green fuzzy ball that gets thrown to the worker behind the counter who handles the cash register... any change due comes back the same way with your packaged fish. Fascinating entertainment! and truly fishy! (heehee). Wish I could have gotten a pic, but couldn't orchestrate a good view through the crowds of people. Went to legendary Ivar's for Alaskan Cod fish and chips. I'm a MAJOR FAN OF NORTHWEST SEAFOOD!!! Seagulls upon seagulls were hanging out and being hand fed dockside. I love seagulls, all winged ones for that matter. Took lots of awesome seagull pics. Many more are posted in my facebook album called: Washington State. Enjoyed a mid-day fresh juiced watermelon mango drink at a street side stand. Most yummy! Upon awakening and greeting my birthday morning, I spoke aloud a desire to see a totem pole. I've always been amazing by them and being in the pacific northwest is my chance to have a totem pole experience. My birthday prayer was answered. Not only did I see totem poles in front of a few shops in downtown Seattle, I got to meet a master totem carver. Rick Lone Wolf has been carving totems for 54 years. He carves like his father and grandfather before him. As Ran & I were sightseeing about, we spotted Rick sitting on a bench intricately carving. For 48 years, Rick has been sitting on the same bench in the same waterfront park carving totem poles everyday, all day, 7 days a week. I live for spontaneous moments such as this.... sharing the power of personal story. It is the inspiration of why I travel. By early evening, Ran & I met up with friends of Ran's from Alaska, Dan & Sue who run a cruise company. "Un-Cruise Adventures - Unrushed! Uncrowded! Unbelievable!" - The BEST way to travel! Check them out at: Un-Cruise.com. Dan, Ren, Ran and Sue ~ Great visit!!! Enjoyed a lovely birthday dinner of yet more salmon!!! I've eaten more salmon in 2 weeks of visiting the Salmon nation of Seattle than I've had in my entire 58 years! (Yes!) I am one very happy mermaid! After dinner, we all drove over to the Ballard Locks at the west end of Salmon Bay, which is part of Seattle's Lake Washington Ship Canal to watch salmon migrate up the fish ladder at Ballard's Chittenden Locks. The locks are a critical link for salmon and steelhead heading upstream to spawn. It's time to catch the ferry back to Bremerton, where our camper awaits us. Purrfect timing once again - a sunset cruise on the ferry. A fabulous beginning to my 59th year! Dismounting the ferry, we were prepared to foot it to our camper 2-1/2 miles under the barely visible moon at 10 pm, one lone taxi awaited outside the ferry terminal at 10:pm. Acknowledging perfect timing once again, we hopped in and was back to the camper in a flash. It's been an amazing day.... and... it's not over yet. Ran & I are feasting on special dessert in our camper. Tomorrow night, I am looking forward to a 2nd dessert I love.. Pineapple & Coconut ice cream. Thank you to all who sent birthday wishes my way. My heart is savoring each one. Since my last blogpost in April, my gypsy mobile has been dressed with a protective car cover enjoying a long nap after 8 months of driving cross country. As for me, after a wonderful 2-month stay in a cozy southwest home with a beautiful soul brother named 'Ran', he and I have taken to the road as travel companions. He is just as much a nomad spirit as I.... imagine that. I am writing this post from the Evergreen State of Washington where we arrived yesterday for a 3-week stay, after which we will meander down the pacific coast camping & visiting with wide open awe and wonder, attracting wonderful spontaneous surprises along the way. As much as I treasure solo travels, I am making a new discovery that when spirit hand-delivers you a resonant free-spirited journey partner who is easy, natural and fun to be with, companion traveling offers a mutually rewarding, succulent, divine experience. Adding to that the splendor of beholding the amazing landscapes and staggering beauty of America....we're loving every moment of this joyous living adventure. Travel is my passion and indeed it is exactly what I've attracted into my life. 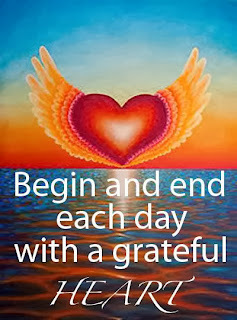 My body, mind and spirit are thoroughly delighted every morning, noon and night. When I look at my face in the mirror I see a youthful glow emanating ... called living out your dream. From the inside out I feel grand! There is so much more to say, of course, although my objective here is to touch in and share where I've been these last couple months. As far as writing goes, it remains my intent to have my book of souljourn adventures completed sometime during Autumn season. Indeed it's a challenge writing on the move, although now that I have landed in Washington for 3 weeks, this small table in the camper has become my little writing nook. Today I am focused on providing this updated blogpost and tomorrow book writing resumes. Check out my facebook albums to view pics galore spanning from April when I landed in Abiquiu, NM ..... on thru the current traveling adventures of "Ren & Ran On The Road."